Classic Film and TV Café: A Review of "Darkness Visible: Hitchcock's Greatest Film"
A Review of "Darkness Visible: Hitchcock's Greatest Film"
With Darkness Visible: Hitchcock's Greatest Film, author Brian Hannan attempts the daunting task of selecting and justifying Alfred Hitchcock's greatest motion picture.The inherent challenges in this endeavor are obvious: Hitchcock made more than 50 films over six decades, to include many of American cinema's most acclaimed works. How can one anoint a single film above all the others? The second challenge is coming up with a standard definition of "greatest." Most influential? Most enduring? Most representative of his recurring themes? "In arriving at a shortlist, I have had to be ruthless and so I have first of all removed from the equation the early silents because of their technical limitations and also the later films, from Marnie onwards because, although many of the films have fine moments and certain Hitchcock touches, they do not hang so well together. With some regret, I have also omitted the 1940s Hollywood films like Rebecca and Spellbound because of the influence of producer David Selznick on the finished article (it is his name above the title not Hitchcock’s) and also his British films of the 1930s because they lack the moral dimension that was a hallmark of his later films." While I can't argue with Hannan's six remaining "finalists," his explanation contains some pot holes. Hitchcock's 1930s films are ripe with moral dilemmas: the hero's involvement in the murder of an innocent man in Secret Agent; the heroine shielding an accused murderer in Young and Innocent; and Hitchcock's own decision to explode the bomb in the bus in Sabotage. Likewise, it's hard to dismiss Hitch's 1940s filmography because of Selznick's involvement. Thematically and in terms of overall impact, any discussion of Hitchcock's greatest films must include Shadow of a Doubt and Notorious. After narrowing the finalists, Hannan devotes a chapter each to: Strangers on a Train; Rear Window; North By Northwest; Vertigo; Psycho; and The Birds. To his credit, the author avoids plot summary and focuses on providing an analysis of each film. 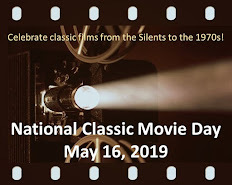 There are some interesting insights (i.e., in Rear Window, "a full seventeen minutes, spread over several scenes, are silent apart from incidental music playing from different apartments"). However, there has been so much written and discussed about these films that it'd be hard to come up with anything new. Hannan waits until his three-page conclusion to state his case for which of the six finalists is Hitch's greatest film. Then, he dismisses Rear Window, Strangers on a Train, and North By Northwest in a single paragraph because "despite lingering undertones, they are not dark enough." When did "darkness" because a criterion for "greatness"? And how can Strangers on a Train not be considered "dark" when it features one of the most disturbing characters in the Hitchcock canon? I won't reveal Hannan's pick for Hitchcock's greatest film, but admit that it intrigued me--I just wanted more in-depth justification for his selection. While scholars may scoff at the premise of Darkness Visible: Hitchcock's Greatest Film, I have no issue with it. I'm always game for a good discussion, even it requires a great deal of subjectivity--that's part of the fun of being a film buff. 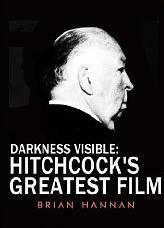 However, at a little over 50 pages, Darkness Visible: Hitchcock's Greatest Film kicks off the discussion, but cannot sustain it en route to a fully-supported conclusion. The Cafe received a review copy of this e-book published by Endeavour Press. Rick, it was interesting reading your review of Hannan's e-book. It is indeed hard to define the criteria that define "greatness." It seems as if the early films, works of the '30s and '40s and later movies were dismissed by the author a bit too easily. But it is always good to hear of another fan of Hitchcock. REAR WINDOW, VERTIGO, NORTH BY NORTHWEST & PSYCHO. I show films for my neighbors every Saturday night; this evening I exhibited I CONFESS- and I confess I found it to be an under-rated film. Hitch's direction here is superlative; I CONFESS is a little neglected masterpiece. What a delightful way to spend your Saturday nights! What would Vertigo have been like with the dream casting of Grace Kelly and Cary Grant? These twain were Hitch's first choice for the movie's dream-within-a-dream team. To me Grace Kelly was the most sensuous kisser on the big screen; just watch her try to kiss Jimmy Stewart in the movie where he wears a plaster cast on his leg; Jimmy is so not interested that it's like he's gay or Polish catholic or something. Still, I adore Vertigo as it is. Kim Novak looks so not there, a beautiful savant. This time it's James Stewart's turn to get his amorous and find himself thwarted. The street locations around San Francisco are wonderfully done. Remember the lady in the remote boarding house on the hill? So very evocative. And when you think about it, Vertigo is the ugly truth about obsessive love. Everyone has been there. 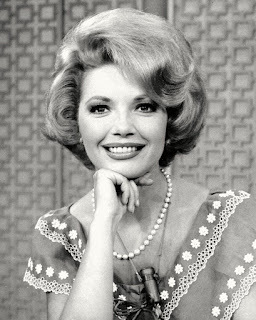 We all want to set our boats against the current and return to some golden past, some golden girl. F Scott Fitzgerald wrote two novels about it, The Great Gatsby and Tender is the Night. See you in Matilda's coffee house, Brian. Brian's title is significant. Milton's Satan is condemned to 'darkness visible' by the hand of God. The writing of Paradise Lost has context. Milton lost his sight. Inner vision replaced outward vision. Much of his epic was composed in the middle of sleepness nights. He was in a state of despair. The English Revolution in which he had invested so much hope had failed. The Restoration saw the return of King Charles the Second. Milton hated kings and still longed for a republic. William Blake argued that Milton was really on the Devil's side and didn't know it. Before Paradise Milton believed in the divinity of Christ. After Paradise he seems to have been an Arian; that is, denying the co-equality and co-eternity of Christ with the Father. Modern readers of Milton suggest that Cromwell may have served as a model for Satan. Now we come to Brian. His early novel, The Born Giant, drew powerfully on Miltonic myth- making. Are you still trying to grab the Devil's tail, Brian? Or is it Hitch's coat-tails you are swinging from? Psycho the movie was a curtain raiser for so many grisly serial murders. Life imitates art. Here in Glasgow we even had a deranged serialist who went by the name the media created for him, Bible John. Then there was the Yorkshire Ripper, and the quiet London bachelor who took in homeless men and murdered them. 'Killing for company' a writer called it. There were also the World's End murders in Edinburgh. In publishing terms too murder has become big business. There's Scandinavian noir, Scottish noir. Gaelic noir and Irish noir. For all that we are none the wiser. In what sense is Satan's dasrkness visible? What is the black light? I say it's time we started reading the Puritans; men like John Owen, Daniel Sibbes and Richard Baxter. How about a truly theological detective, Brian? If there be light in our darkness it may well be counter-cultural. The Odd Odyssey of "Jack the Giant Killer"